Note: The following article has been published with the author’s approval. The original article was published in Howlings (ed. Grey) (2008) Scarlet Imprint, Brighton, now out of print. 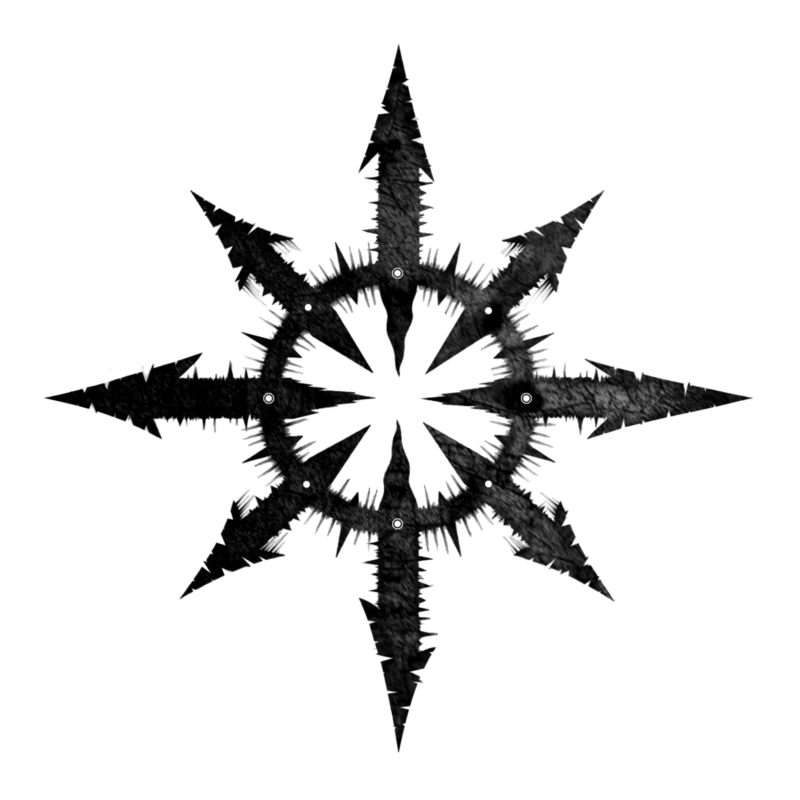 A sigil could be described as a pictographic representation of a name or specific intent. 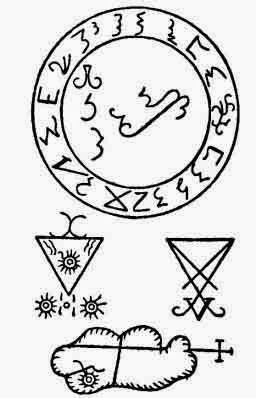 The sigil representing a spiritual creature can act as a gateway for the energy of that creature to manifest, a technique which finds its most dramatic modern expression perhaps in the vevers of Voodoo, although it is appropriate too for the Planetary Intelligences and Spirits detailed by Agrippa. Although the creation of sigils on the kameas is, as far as we know, first documented in Agrippa, the kameas by themselves were being used for magick prior to this and were not created by Agrippa as has been suggested. The kameas were inscribed on planetary amulets and talismans made of thin sheets of the planetary metals and used for a wide variety of purposes. A manuscript entitled “The Book of Angels, Rings, Characters & Images of the Planets: attributed to Osbern Bokenham”, dating to the period 1441-45 on planetary magick makes specific reference to use of the kameas in talismanic magick in this manner. This MSS is contained in Cambridge MS Dd.xi.45, between herbal and medical texts, and all written in the same hand. Novotny attributes Agrippa’s source for use of the kameas to the short piece “A treatise on magic squares” possibly written by Manuel Moschopolos, which was bound in with a fifteenth century copy of the Picatrix in Cracow. Agrippa’s exposure to the kameas was probably through his teacher Abbot Johannes Trithemius, who we know possessed a copy of the Picatrix as well as an extremely impressive array of grimoires. 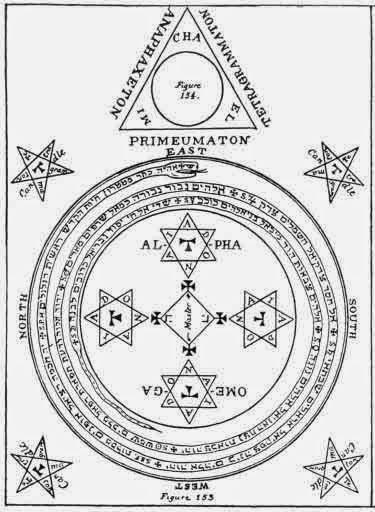 However we must not discount the Kabbalistic use of magick squares as the possible source for Trithemius and Agrippa. The famous Kabbalist Rabbi Joseph Tzayach (1505-1573) documents their use in a number of his works, continuing a Kabbalistic tradition which goes back some centuries. Significantly Tzayach lists the kameas for the classical planets as used by Agrippa, in the 3-9 range, but also adds the 10-20 range (omitting 15) for the Sephiroth from Kether to Malkuth. 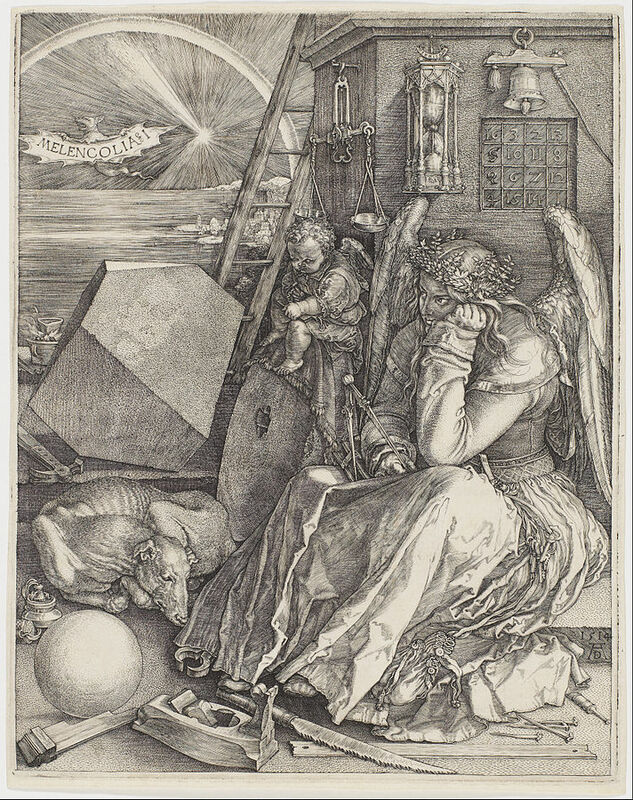 It may have been Abraham ben Meir ibn Ezra (1090-1167), a Jewish philosopher who translated many Arab works into Hebrew, and who had a fascination for magick squares and numbers, who spread their use in his travels across Europe from Spain to Italy. The earliest known magick square was the Chinese Lo Shu, a 3×3 square better known to us as the Saturn kamea, which can be dated to the 1st century CE. 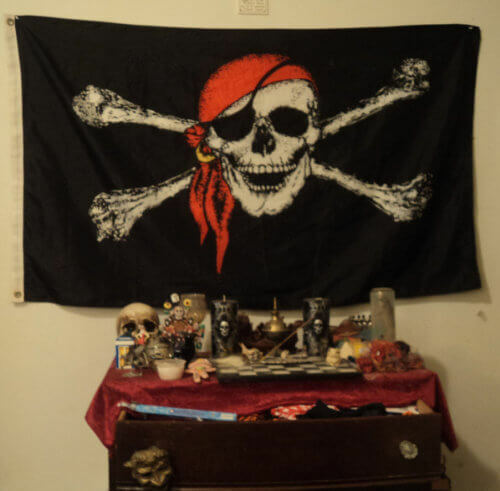 The idea of magick squares may have been transmitted from China through India to the Arab world. The Rasa’il (Encylopaedia), composed around 990 CE by a group of Arab scholars lists the magic squares from 3×3 through to 9×9 (i.e. 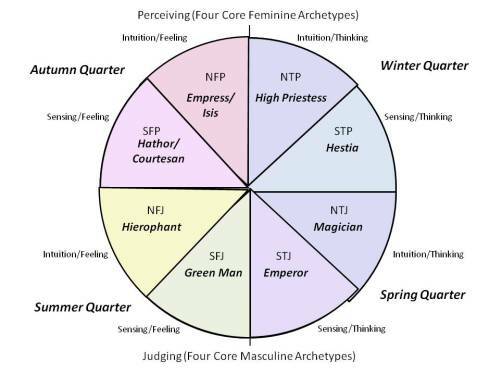 the classical seven). Returning to Agrippa, and the technique he used, the Hebrew names of beings such as the Planetary Intelligences and Planetary Spirits were transcribed onto the kameas, the sigil being formed by drawing lines joining the squares corresponding to the numerical values of the letters in sequence. The numbers attributed to the letters were used according to the range of numbers within the kamea. If the letter had a higher number attributed to it than existed in the kamea, the number was dropped to the highest number available in the Aiq Beker table. As the largest kamea is that of the Moon, which has the number range 1-81, any letter with a numerical value over 80 would always be reduced. The Aiq Beker table is also known as the Qabalah of Nine Chambers. 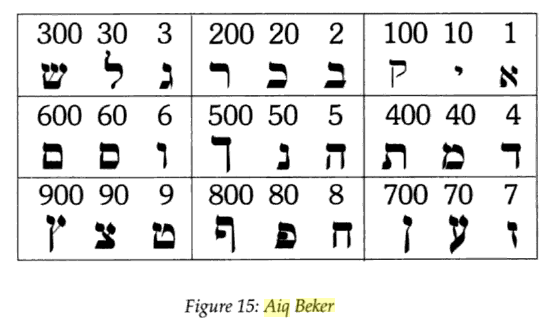 The name Aiq Beker comes from the attribution of the letters to the first two chambers, hence AIQ (Aleph, Yod, Qoph) BKR (Beth, Kaph, Resh). Examples are the best way to illustrate how this principle works when applied correctly. The Planetary Intelligence of Saturn is Agiel. When this name is attributed numerically the sequence is 1(A), 3(G), 1(I), 1(A), 3(L). Because the name is drawn on the planetary kamea for Saturn, which only contains the number range of 1-9, I with a numerical value of 10 is reduced to 1, and L with a numerical value of 30 is reduced to 3. However if we now take the Planetary Intelligence of Venus, Kedemel, this is drawn on the Venus kamea with a number range of 1-49. Kedemel has the numerical attributions of 100(Q), 4(D), 40(M), 1(A), 30(L). The 100 is dropped to 10 because the number 100 is not found in the kamea, but the 40 and 30 are not reduced because they exist in the kamea. Where the number attributed to the first letter is placed in the kamea is marked with a small circle in the centre of the number square. From this circle a straight line is drawn to the centre of the square for the second number, and so on until the last number is reached. This final end point is marked by either a small perpendicular bar or another circle. If a word begins with two letters with the same numerical value, a bifurcation like a curvy m may be used, with the line to the next square drawn from the centre of the bifurcation. When two consecutive letters within the word have the same numerical value, a small loop is drawn, with additional loops for each additional repetition of the same numerical value. When a word begins and ends in the same square of the kamea, the sigil is sometimes connected so there is no apparent beginning or end. Confusingly, in the first source for this technique, Agrippa’s Three Books of Occult Philosophy, Agrippa himself does not seem to always stick to these principles in the construction of the sigils for the Planetary Intelligences and Spirits. For instance where a word contains the letters IA together, which is common in names of spiritual creatures, the numerical values of the letters, I=10 and A=1, are often added to make 11, instead of using the squares for 10 and 1. Likewise he sometimes combines other letters with no apparent reason, and does not always reduce a number to the highest value, e.g. reducing 200 to 2 instead of 20 when there is a 20 in the kamea. Since Agrippa’s work, the tendency has been to reproduce his sigils without any explanation. For this reason I will refer to all the sigils which demonstrate inconsistencies, for the reader to redraw for themselves. The kamea contains the range 1-25, so 80 is reduced to 8 and 30 to 3; 200 is reduced to 2 rather than 20 for no clear reason. The 10+1 of IA are combined to 11 and the square for 11 used. As the word begins and ends on a 3 the sigil is closed at this square. The kamea contains the range 1-25, so 90 is reduced to 9 and 30 to 3; 200 is reduced to 2 rather than 20 for no clear reason. The two 2s at the beginning of the name are indicated by the double loop. The kamea contains the range 1-36, so 50 is reduced to 5. The I and A are not combined, and for no clear reason 30 is reduced to 3 despite being in the kamea. The kamea contains the range 1-36, so 400 is reduced to 4, and 60 to 6; 200 is reduced to 2 rather than 20 for no clear reason. The two 6s together at the beginning of the name are indicated by the double loop. The kamea contains the range 1-49, so you would expect no reductions. However 30 is reduced to 3. The 10+1 of IA are combined to 11 and the square for 11 used with a double loop, which is not used elsewhere. The kamea contains the range 1-64, so 200 is reduced to 20. The 10+1 of IA are combined to 11 and the square for 11 used, rather than using the squares for 10 and 1. The kamea contains the range 1-81, so 600 is reduced to 60, 400 to 40, 300 to 30, 200 to 20, and 100 to 10. In the first word the 20 (K) and 1 (A) are combined to make 21 and this square used instead of 20 and 1 for no clear reason. The kamea contains the range 1-81, so 300 is reduced to 30. This 30 is then combined with the 40 (M) to produce 70 as a combined total and that square used instead of 30 and 40. There is no obvious reason for this. The kamea contains the range 1-81, so 700 is reduced to 70, 400 to 40, 300 to 30 and 200 to 20. The 300 (Sh) reduced to 30 in the second word is added to the following 5 (H) to make 35 as a combined total and that square used instead of 30 and 5, for no obvious reason. The loop from 40-70-40 is also unexplained, as there is no reason for it not to be straight lines. By the 17th century the sigils drawn off the kameas were already well established, as can be seen by the following quote from Sloane MSS 3821. “O Almighty Lord and everlasting God, by whose power both the heavens and the Earth with all things therein contained were made, by whose providence all things both in heaven & Earth are governed Who givest virtue to every Creature, that thou hast made as to plants, stones, herbs, & all for the use of man (who in thee doth live, move, & hath his being) yea & to words, prayers, signs & sigils dost give especial virtues, & especially to thy own great Names, for expelling of evil spirits & healing diseases, give thy special blessing unto these sigils which in thy Name we do apply unto this thy Servant, let those virtues equal the virtue of Gideon’s Sword that vanquished the Philistines, of Judith that cut off the Babylonian’s head, the strength of Sampson’s arms, the strength of David; let his prayers that made them (who bear a place in the Celestial Choir) be now heard in remembrance, & let our weak prayers, have access unto thy throne of Grace, & so for prayer with thy Sacred Majesty that these Sigils may receive that virtue from thee, that was humbly supplicated at the making of them, and Let this thy Servant find & feel the effectual workings of them, to the Recovering of health both of body & mind, & preserving from the Like or any other evil, both of body & mind hereafter, & grant this O merciful father for Jesus Christ his Sake in whose blessed Name we do humbly & heartily beg it, of thee, in that prayer which he hath taught us. So having looked deeper into the sources of Agrippa’s work, I hope this will inspire further work with the Planetary Intelligences and Planetary Spirits he detailed. “Three Books of Occult Philosophy”, Cornelius Agrippa, 1508-09 (date of probably first drafting). Jagiellonian MS 753, circa 1315 CE. See “Eros and Magic in the Renaissance”, Ioan Couliano, p167. E.g. Shoshan Yesod Olam and Toledot Adam. Sloane MSS 3822, fo 35, 1739?